Pharaoh Wedding Band was added to your cart. The simplicity of the Pharaoh's solitaire design makes a brilliant showcase for an opulent Oval cut solitaire Nexus Diamond alternative. The jewel is bezel set to reduce snagging. 1.86 center stone pictured. Center stone available in a range of sizes. See menu above. I've had it for almost a year, and I love this ring. It sits higher than expected, and if you aren't careful soap residue can easily get caught up underneath the ring, so make sure to clean it often! 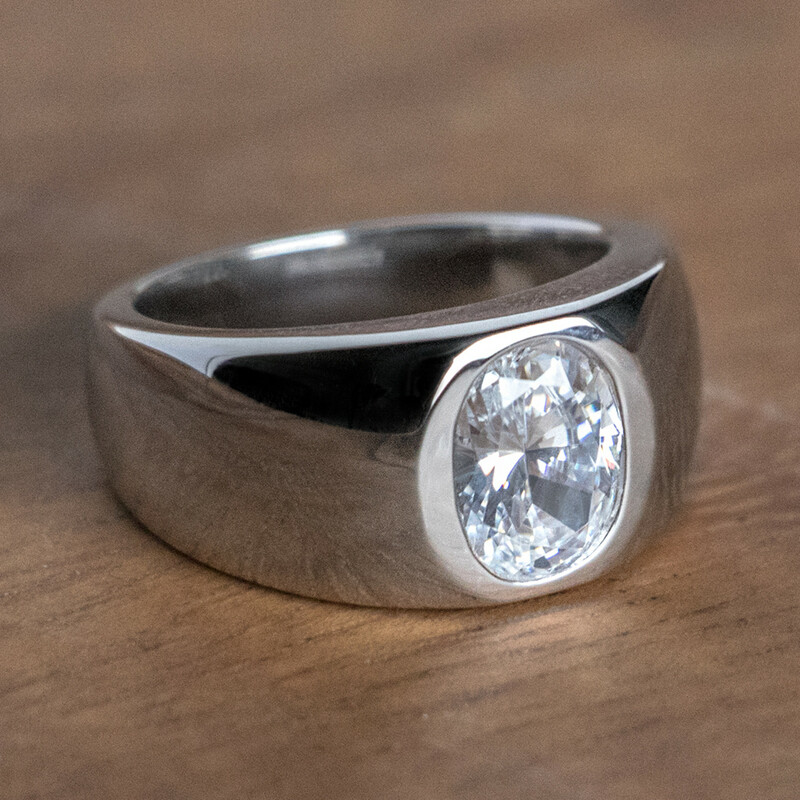 The only negative thing I have to say is that it doesn't look as smooth polished as the pictures above show- its more of a brushed finish (at least mine was, mine is also cast in Palladium). So if you are expecting a mirror-finish on the ring, you will be disappointed. My wife bought me this ring a few years back for Christmas. It has a 5 ct stone in it. You would think that this large a stone would look fake. Let me tell you it is everything but ! 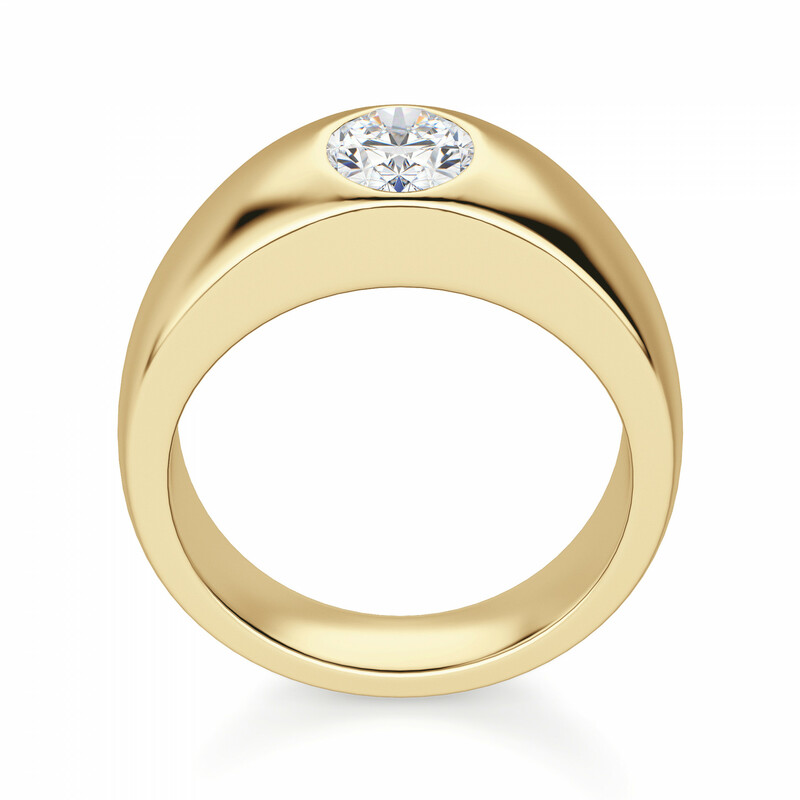 The rings 14 kt gold is heavy and polished beautifully. The bezel set stone is smooth and snag free. My friends ask me if I'm armed when I wear it. I answer that I am armed with pride. Many thanks to designer and staff. 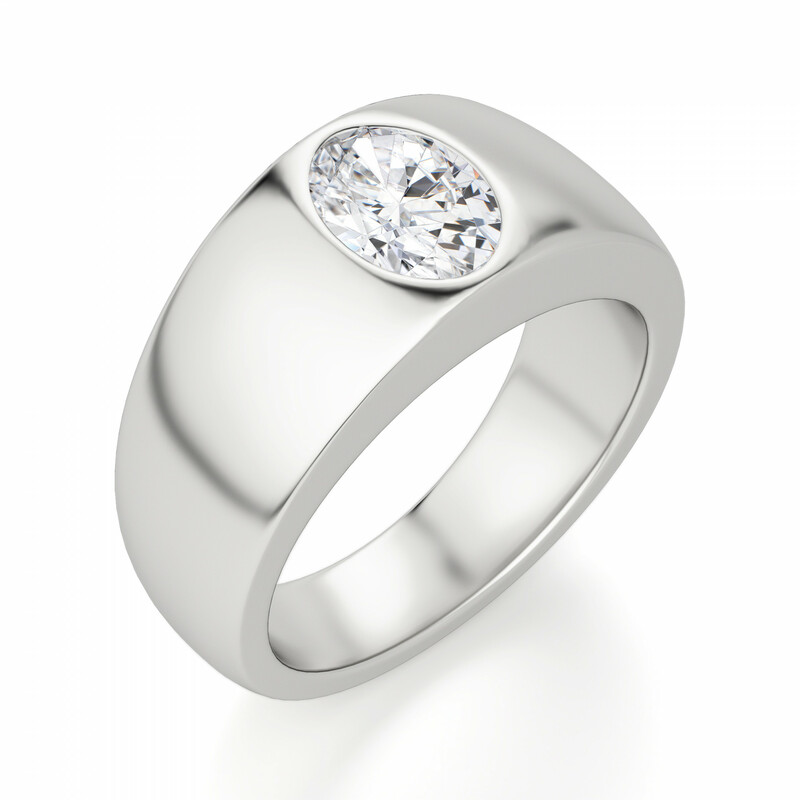 . .
First, the sizing on this ring offered 1/4 sizes for a perfect fit. The quality was great. If you are expecting a small thin band, this ring is not for you. 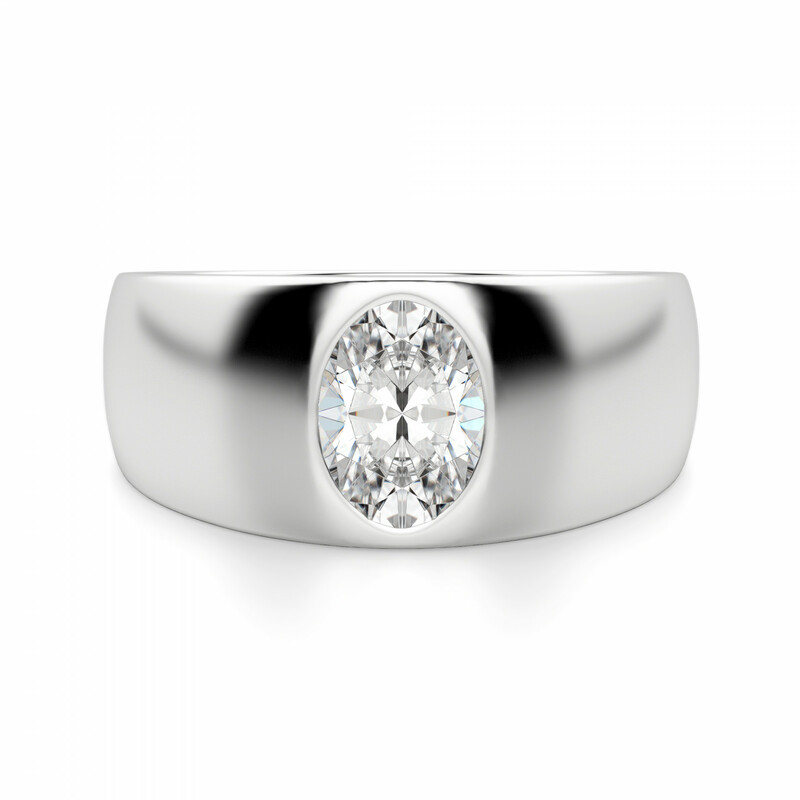 The ring is thick, wide and bold, to match the style of diamond as shown in the picture. I went with the 2.54 ct stone and it is a large diamond that fills the entire width of the ring. However, this style is a bold and masculine presentation and a smaller stone would work just as well. I chose the larger stone in an abundance of caution, but in hindsight it was not necessary. My wife and I decided to upgrade my wedding ring since I went all out on hers. She and I picked out this ring and when it arrived... I was thrilled! Wife was working when it arrived, but came to my work place just to see it, everyone at work loved it, and so did the wife. With that said, I highly recommend you consider this ring! Stylish and classy is all I can say!